Stir the yogurt, Parmesan cheese, garlic powder, mustard, and pepper together in a bowl. Spread yogurt mixture over each chicken breast to coat completely. Transfer the coated chicken breasts to a baking dish. 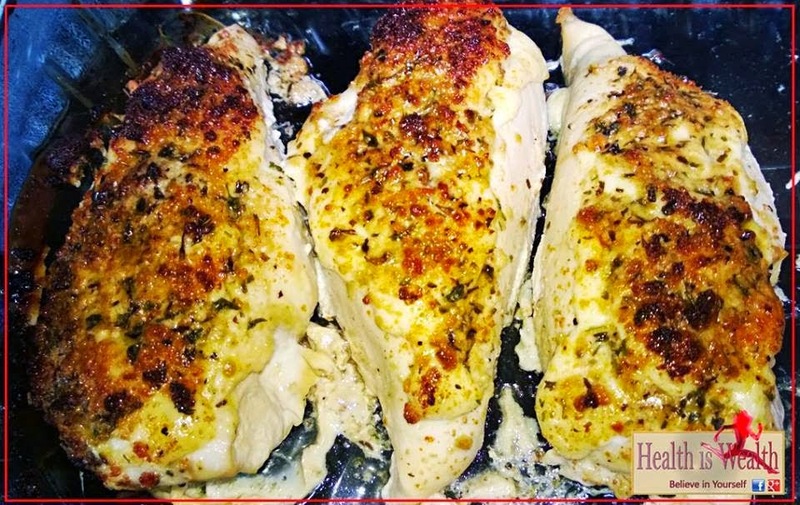 Bake the chicken breasts in the preheated oven for about 20 minutes. Turn on the oven's broiler. Broil the chicken breasts. Turn them once until Parmesan cheese is toasted and the chicken breasts are fully cooked, about 2-4 minutes per side.